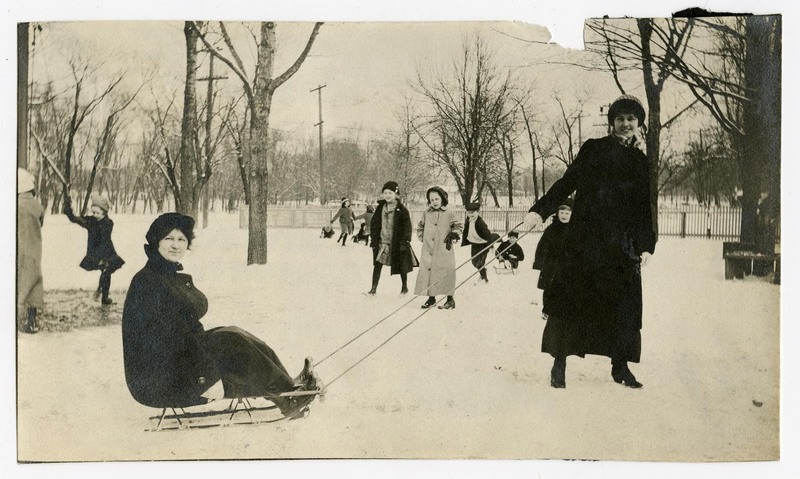 Sledding in Broad Ripple Park, circa 1900. This time of year usually brings snow and ice, an overindulgence of baked goods (sugar cream pie, anyone? ), tax refund shopping – and hopefully, spending quality time with family and friends. Perhaps you’ve had a conversation with a relative about whether or not to keep Grandpa’s letters from the Korean War? Maybe you opened a couple moving boxes and wondered if you should trash high school photographs? You are a key part of defining Indiana’s history and culture. 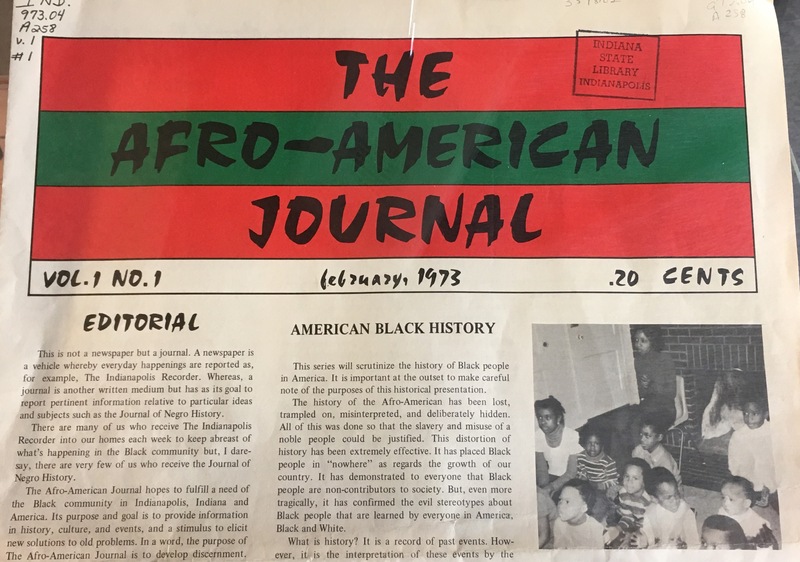 Help us preserve it by donating your collection to the Indiana State Library. As the season of spring cleaning quickly approaches, contact us if you find yourself in a dilemma. For more information on what we collect, visit the library’s Donating Manuscripts page. 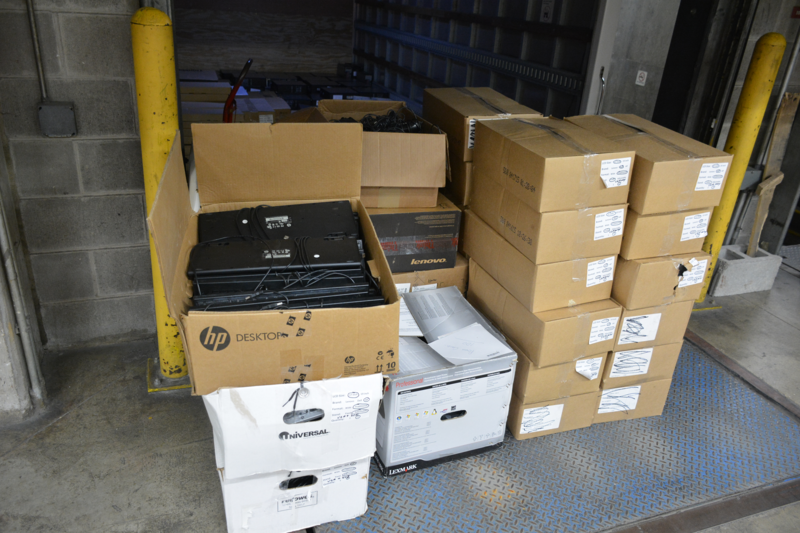 Since 2011, the Indiana State Library (ISL) has partnered with Net Literacy to offer free, rebuilt computers to libraries in Indiana. Net Literacy is an Indiana-based organization first founded in 2003 by a central Indiana middle-school student, Daniel Kent. The original purpose of this organization was to assist senior citizens by having middle and high school students teach the seniors how to use computers. The group accepted donated computers which the students rebuilt and donated to senior centers to allow them computer access. By 2010, Net Literacy had increased computer access and skills for over 50,000 senior citizens. Student volunteers strip down and rebuild the donated computers and dispose of the unusable pieces in an EPA-compliant manner preventing computers and monitors from being delivered to landfills. Net Literacy is a Microsoft Authorized Refurbisher (MAR) and installs Microsoft Windows, Open Source and other software on these computers. In 2011, Kent approached ISL about providing refurbished computers to libraries who needed more public access computers. The computers come ready to set up with Windows 7 Professional, a minimum of 2GB ram, a 40GB or larger hard drive, a DVD drive, antivirus software and an Ethernet card, making them internet-ready. These computers come with a flat screen monitors and all of the required cables, mice and keyboards. Unloaded and waiting to be tested. Twice each year since that time, ISL has issued an open call to all public, institutional and other Indiana libraries to request these free computers. 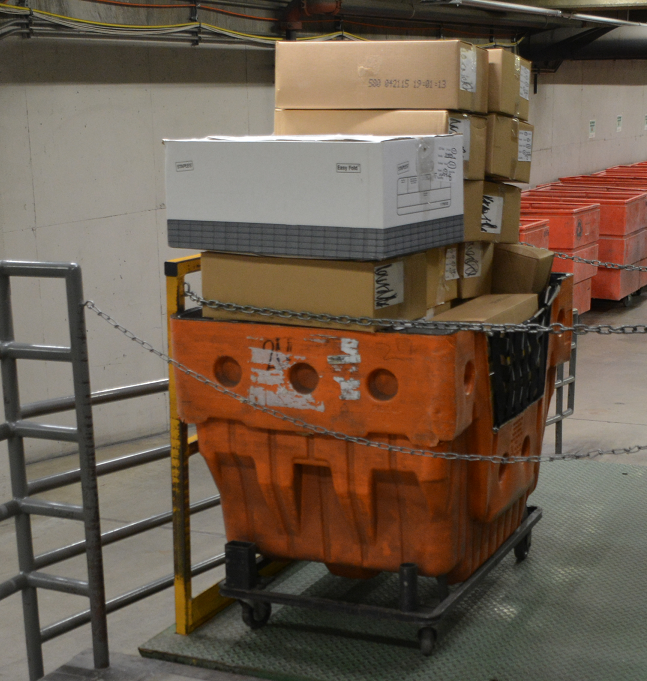 The requirements are simple: The requests are limited to libraries in Indiana, the computers must be used to assist the public and the library should be willing to pick this equipment up from the state library whenever possible. 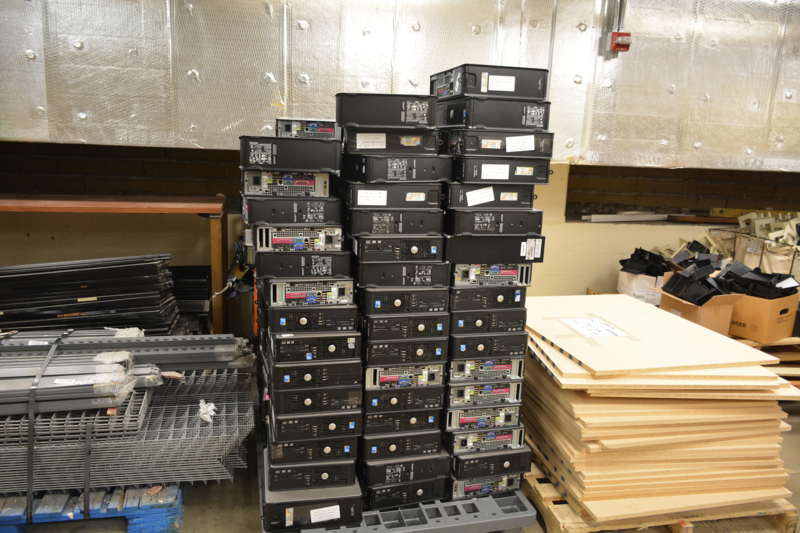 Since 2011, this partnership between the ISL and Net Literacy has made over 1,400 free, rebuilt computers and monitors available to libraries in Indiana. 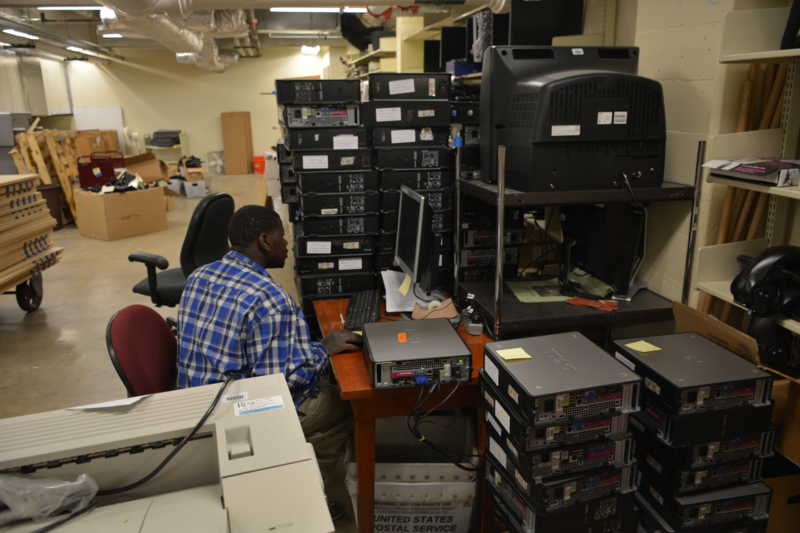 Marcus Bullock, a Project Search intern, makes sure the computers are in working order. For more information about this partnership or instructions on how to request Net Literacy computers, please contact the Library Development Office.